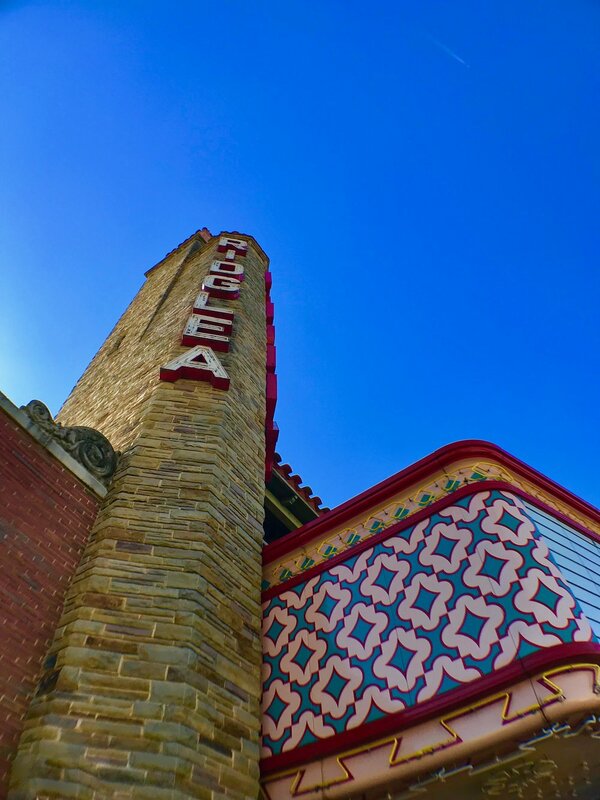 Built in 1947 by Architect A.C. Luther, the beloved Ridglea Theater is now restored and re-living its former glory. The original 70-foot stone tower still stands as the iconic landmark of the west side, beckoning to all the DFW Metroplex. The Ridglea is located in the heart of the Camp Bowie District in Fort Worth. This charming neighborhood boasts fine dining, boutique shopping as well as the world-renowned Kimball Art Museum and The Modern. Since its beginning, a long list of nationally-acclaimed bands have made their mark in this legendary 20,000 square-foot historic venue. The Ridglea was once a premiere movie house featuring classic films of decades past. Now, thanks to the tireless efforts of new owner Jerry Shults, his daughter, Amy Herring and their associates, The Ridglea has been saved from demolition and listed on the National Registry of Historic Places, ensuring its legacy long into the future. In charge of restorations, Architect Sam Austin, of CMA Architecture, held The Ridglea restoration project close to his heart. Austin’s father was the Chief Projectionist for the original Ridglea Theater build. Much of Sam’s childhood was spent watching movies, cartoons, and newsreels at the Ridglea Theater. Today, The Ridglea is revived to its authentic allure, recovering the unique Spanish-Mediterranean elements. Details like the original terrazzo tile floor featuring the intricate compass rose. The panoramic mural, by famed artist Eugene Gilboe, captures your eyes the moment you step inside. Restored to its historical beauty, the main theater and grande balcony are reminiscent of old movie houses. Although The Ridglea Theater has the area’s largest traditional movie screen, it also houses a state-of-the-art sound system and many modern amenities. Magnificently restored and newly renovated, The Ridglea now offers three options for events: The Ridglea Theater, The Ridglea Room & The Ridglea Lounge. The Ridglea is an ideal venue for film festivals, symphony orchestras, corporate functions, charitable events, weddings, award shows, ceremonies and much, much more. Both local artists and national bands continue to make their mark on the symbolic stage. Musical acts that feature Americana, Blues, Alternative Rock and Big Band just to name few. While hosting both public and private events, The Ridglea complex is quickly becoming an integral part of the performing arts community.